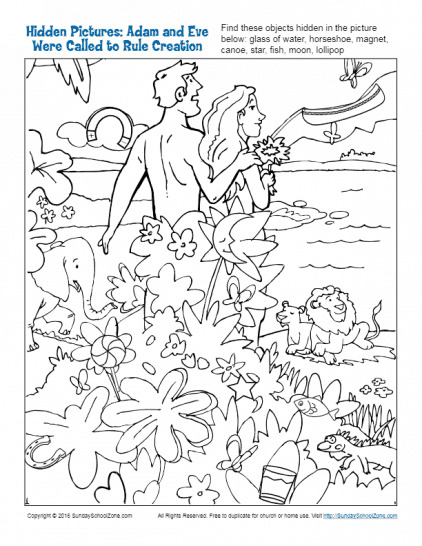 According to Genesis 1:26-28, God created Adam and Eve and gave them the assignment to rule over His creation. 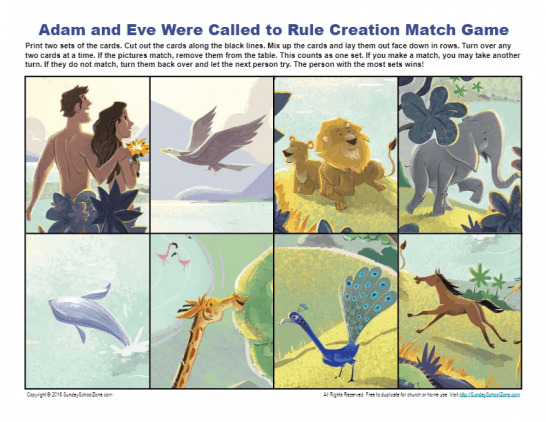 This match game can be used to help children see we must seek God’s purpose for our lives. In Genesis 1:26-28, God created Adam and Eve and gave them the assignment to rule over His creation. 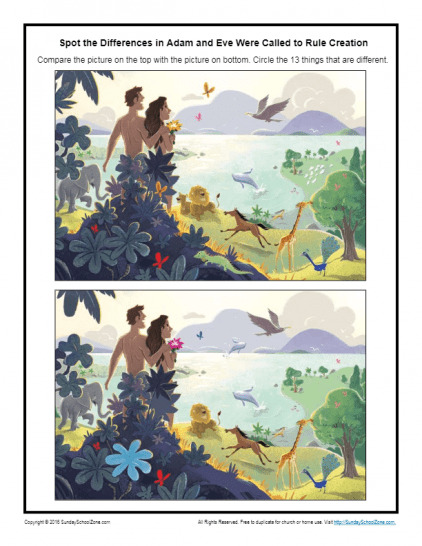 This spot the difference activity can help children remember to seek God’s purpose. 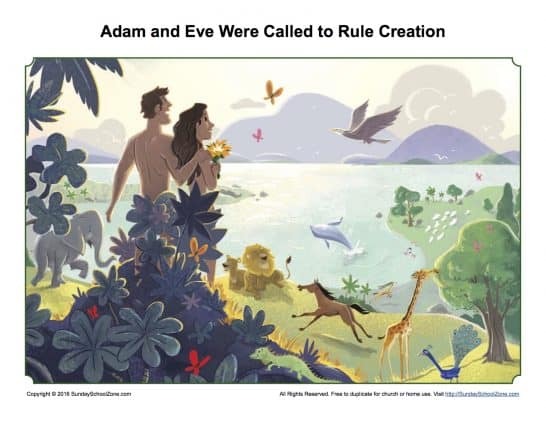 According to Genesis 1:26-28, God created Adam and Eve and gave them the assignment to rule over His creation. 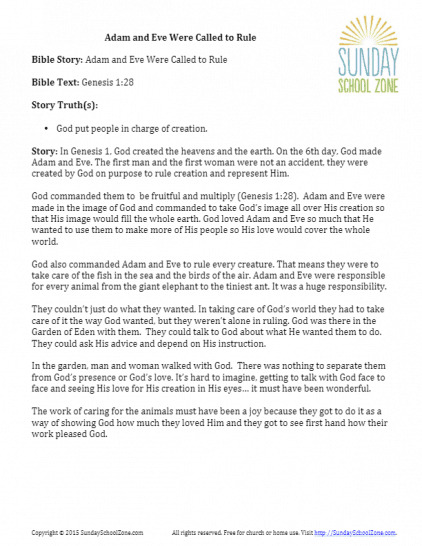 This sermon page activity can help children remember to seek God’s purpose. In Genesis 1:26-28, God created Adam and Eve and gave them the assignment to rule over His creation. 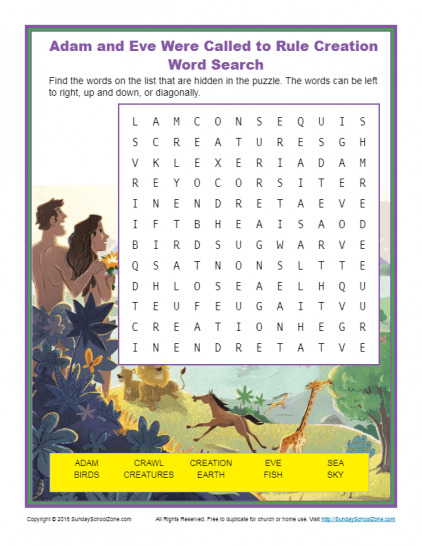 This word search activity can help children remember to seek God’s purpose. According to Genesis 1:26-28, God created Adam and Eve and gave them the assignment to rule over His creation. 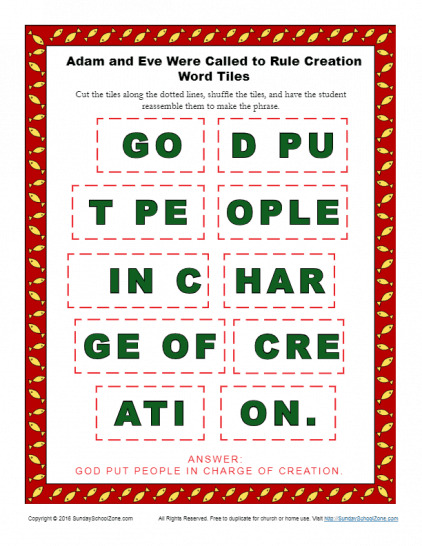 This word tiles activity can help children remember to seek God’s purpose. According to Genesis 1:26-28, God created Adam and Eve and gave them the assignment to rule over His creation. 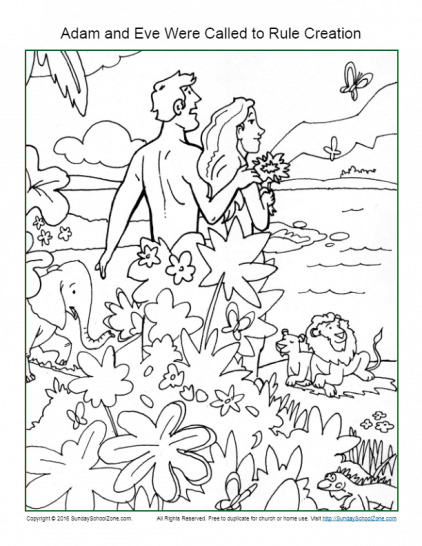 This coloring page activity can help children remember to seek God’s purpose. In Genesis 1:26-28, God created Adam and Eve and gave them the assignment to rule over His creation. This jigsaw puzzle activity can help children remember to seek God’s purpose. 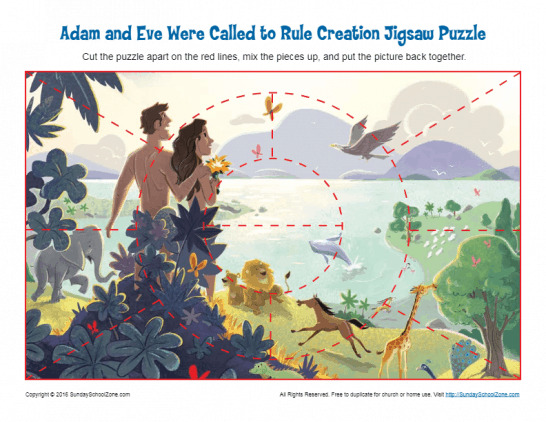 According to Genesis 1:26-28, God created Adam and Eve and gave them the assignment to rule over His creation. This hidden items activity can help children remember to seek God’s purpose.